Joe DeGuardia, CEO and President of Star Boxing, recently traveled to Rome to partake in an exhibition that opened at the Museum of Contemporary Art featuring selected portraits from world renowned photographer Howard Schatz project: "The Italian-Americans in Boxing", in which DeGuardia's portrait was featured. As in the past, DeGuardia's trip to Europe wasn't just pleasure as there is always business to take care. . Upon returning from Rome, DeGuardia locked in the signing of two undefeated European fighters, France's IBF#1 rated super middleweight contender, Jean Paul Mendy, and Russia's hot super bantamweight prospect Sakhib Usarov. "Both Mendy and Usarov are great additions to the Star Boxing stable," stated DeGuardia. "Mendy has been a legitimate top-ten contender for some time, and he is currently the #1 mandatory challenger for Lucian Bute's 168 lb. World Championship. We certainly look forward to the Bute-Mendy World Championship." Bute won the IBF super middleweight title in late 2007 and has successfully defended it seven times, with the latest coming in March of this year against Brian Magee. Bute is considered by many to be the king of the star-studded super middleweight division. The southpaw Mendy, whose record stands at 29-0-1, 16KO's, represented his native France at the 1996 Olympics. He began his professional career in 2000, scoring a second round TKO over Guy Dia Njoh. 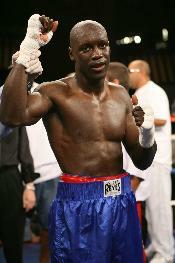 In 2002 Mendy won the France Super Middleweight Title, and in 2008 picked up the IBF International Super Middleweight Title. Also a southpaw, Sakhib Usarov sports an unblemished record of 15-0, 6KO's. Born in Tajikistan, Usarov now calls Moscow, Russia his home. 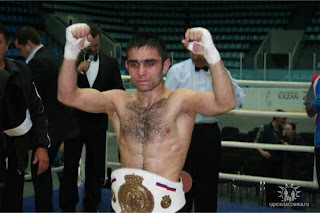 Usarov turned pro in late 2006 scoring a first round TKO over Shuhrat Usmonov. In 2008 Usarov won the vacant Russian Bantamweight Title. In 2009, Usarov scored a twelve round shut-out over Alexander Fedorov to pick up the WBO European Bantamweight Title. Usarov picked up two wins in 2010, including an eight round decision over fellow unbeaten prospect Illhom Rahimov. "Usarov is an exciting up and coming prospect that can fight anywhere between 115 to 122 lbs," added DeGuardia. "He has yet to fight in the outside of Russia, but we are looking forward to bringing him over state-side, and begin marketing him throughout the US. I understand that he is willing to fight anybody and that says a lot." DeGuardia looks forward to the World Championship Bute-Mendy fight and plans to bring Usarov over to the states and feature him on a Star Boxing promoted card sometime in the very near future.